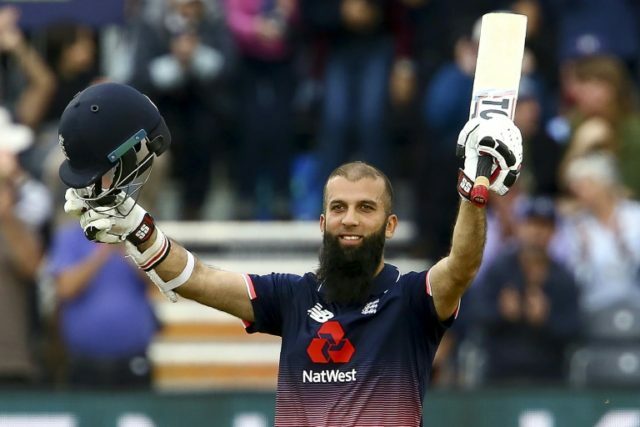 Bristol (United Kingdom) (AFP) – England beat West Indies by 124 runs to win the third one-day international at Bristol on Sunday. West Indies, set 370 to win, finished on 245 all out after Moeen Ali’s 53-ball century took England to 269 for nine in their 50 overs. Joe Root (84) and Ben Stokes (73) laid the platform for a big total after West Indies captain Jason Holder won the toss. Veteran West Indies opener Chris Gayle marked his return to the side with a valiant 94 before he was run out by Adil Rashid’s direct hit from midwicket after the Jamaica left-hander missed the rainswept no-result at Trent Bridge on Thursday with a hamstring injury. From then on the Windies’ chase fell away, with fast bowler Liam Plunkett taking five for 52 — his maiden five-wicket ODI haul — as England won with 65 balls to spare.